This is the first regulated 3D printed box mod in China by Yiloong Vape, the 80w Predator squonk mod. The 3D printed Predator mod is an regulated device with copper 510 connect to support a high efficiency and performance with a higher power 80w chip. It comes with a 13ml Dropper Bottle,and powered by 1 x 18650 battery (not included). Besides, the decent panel design with a real predator on its surface makes it different with stylish, fashion and classic high end. It is slim and tiny to hold in hands even for a stealth vape. Inside the box, a single 18650 and a large capacity and removable juice bottle sit tight. This is a high end look and performance regulated 3D printed squonk box mod ever. Original YiLoong Gorilla Box 3D Printed Squonk Mechanical Box Mod available too on 3FVape. 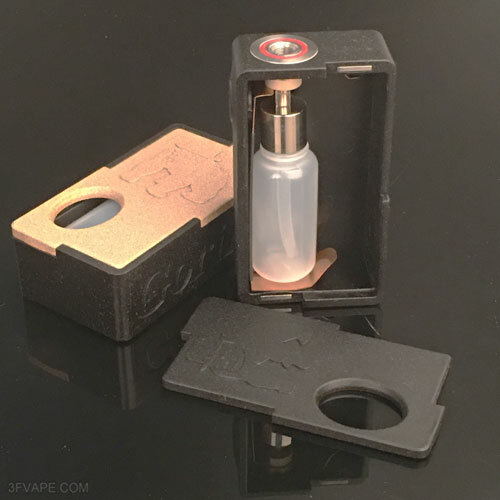 The 3D printed Gorilla Box mod is an unregulated device that's copper 510 connect to support a high efficiency and performance. Besides, the hollow panel design makes it different with stylish, fashion and heat spread. The firing switch, X letter logos are both found on the side of the device. 80 x 45 x 25mm size makes it slim and tiny to hold in hands even for a stealth vape. Inside the box, a single 18650 and a large capacity and removable juice bottle sits tight. So you can easily replace the battery as well as the juice bottle. Panels are various from different colors like pink, orange and green. 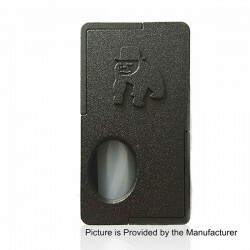 The YiLoong Gorilla 3D Printed Squonk Mech Box Mod both color is in stock now at 3FVAPE.